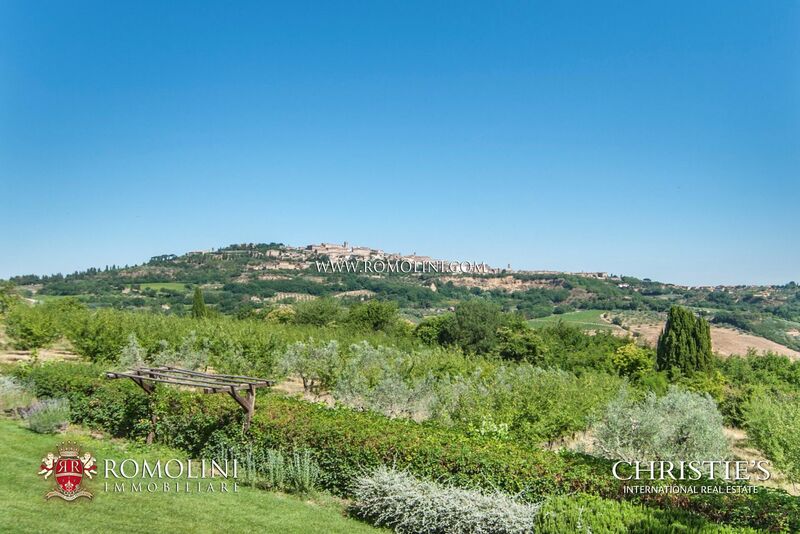 Founded by the Etruscans in the 4th century BC, Montepulciano was under the Roman rule an important fortress. 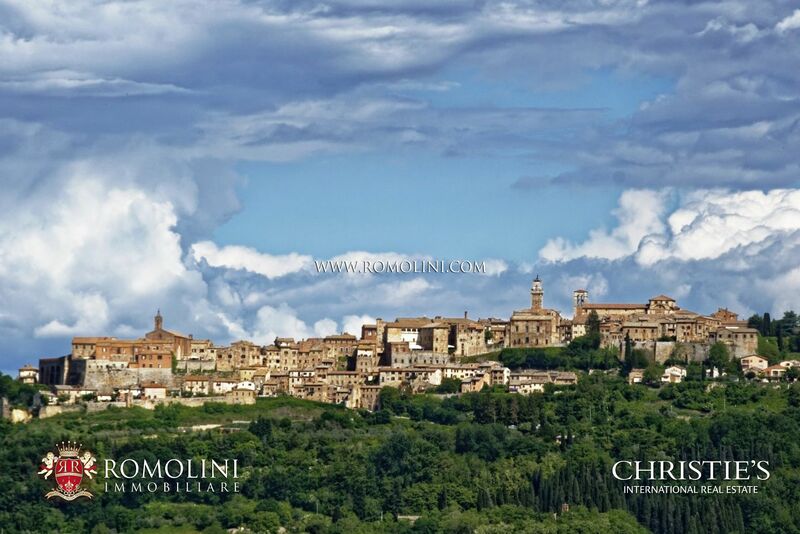 The city reached the apex of its glory between the 15th and the 16th century. 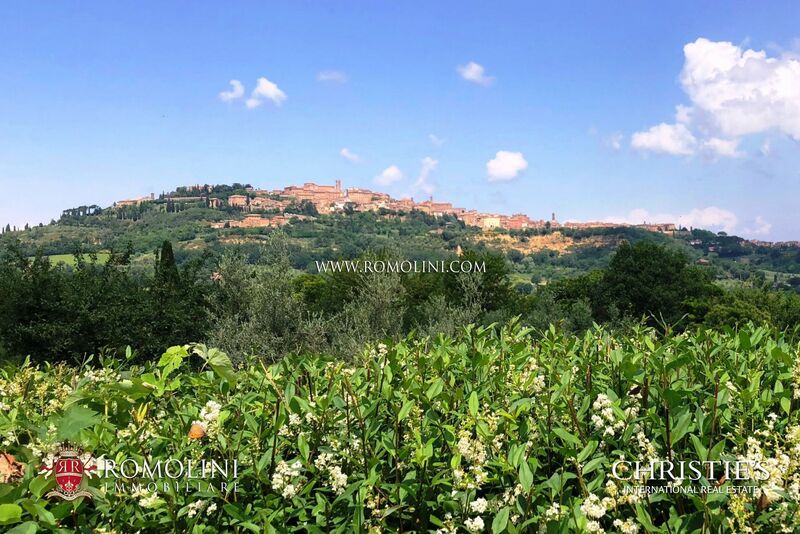 The town is nowadays mostly known for the beautiful medieval center and the Nobile di Montepulciano DOCG, an excellent wine produced by the many cellars and estate which dot the countryside surrounding the town. 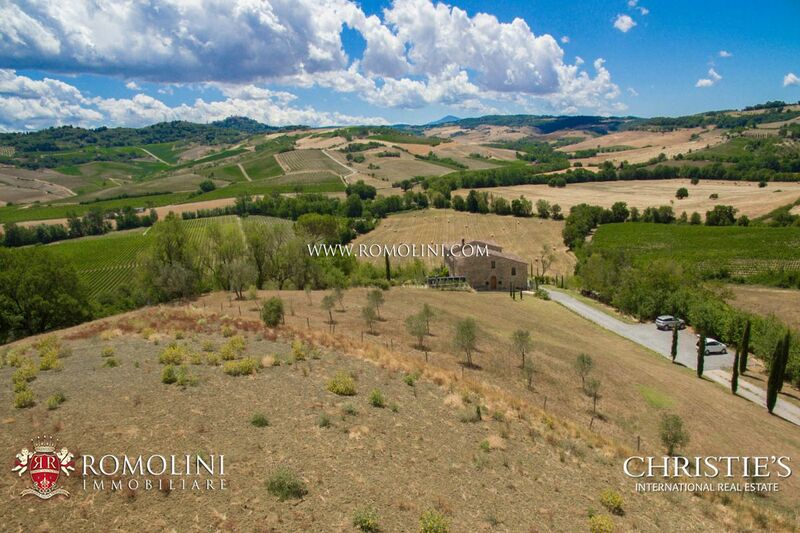 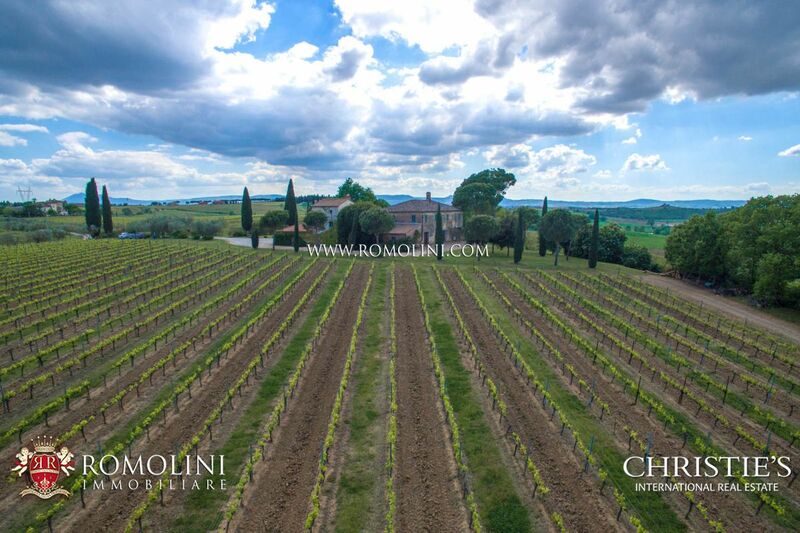 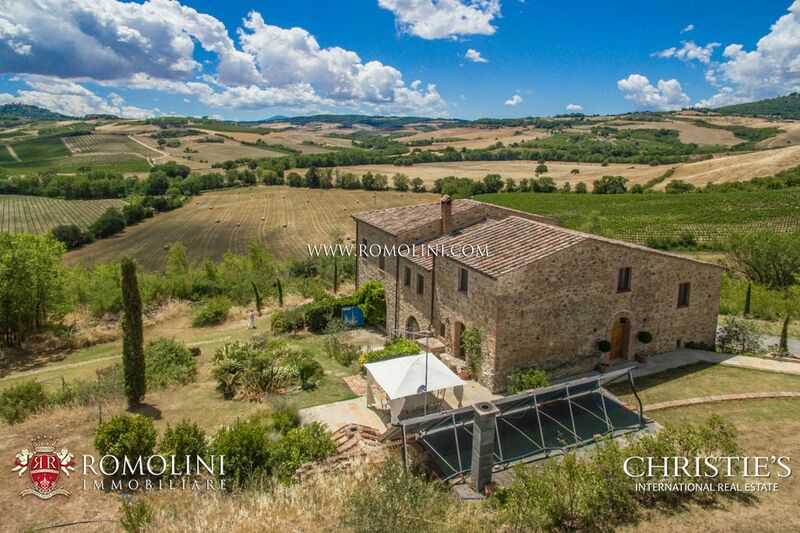 If you are looking for a typical Tuscan farmhouse for sale in Montepulciano, a wine cellar with vineyards for sale, a countryside villa, an estate or a medieval tower for sale in Montepulciano, Romolini Immobiliare is proud to offer a selection of the best luxury properties for sale between the Valdichiana and the Val d’Orcia. 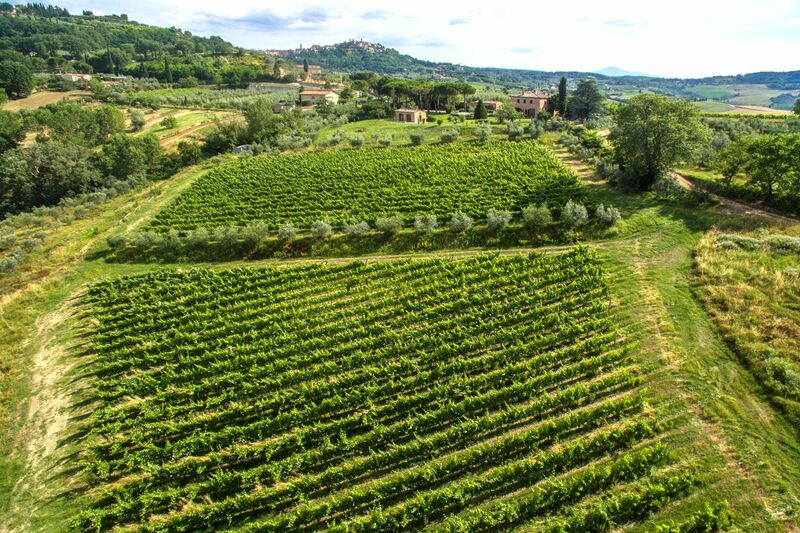 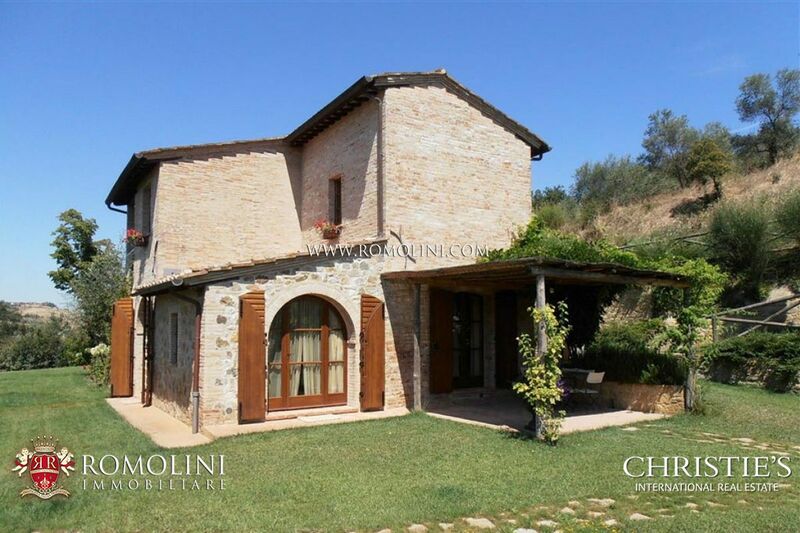 In the heart of Tuscany, located halfway between Pienza and Lake Trasimeno, small wine estate with sparkling wine cellar. 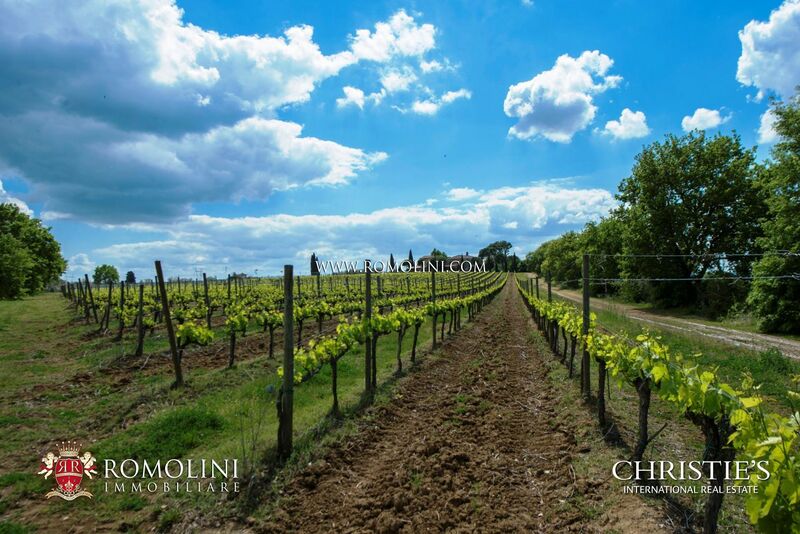 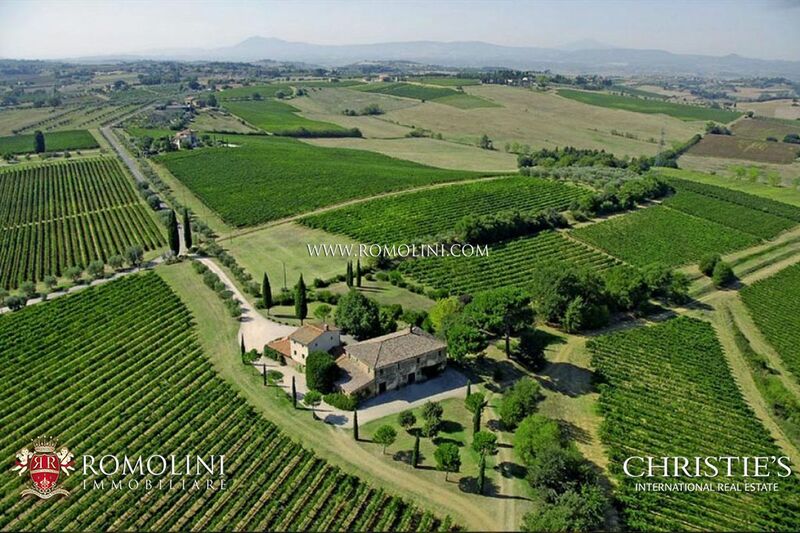 The wine property includes 8 hectares of land with vineyard. 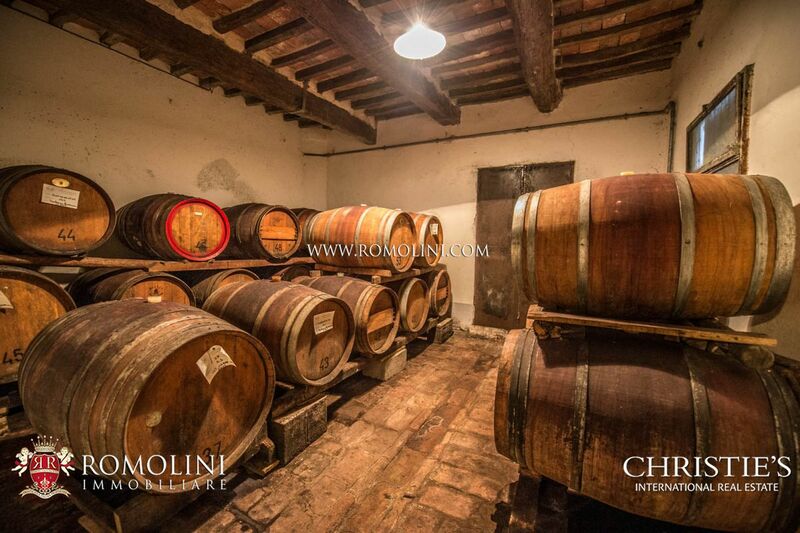 The wine estate is specialized in sale of wines and Sparkling Wine classic method. 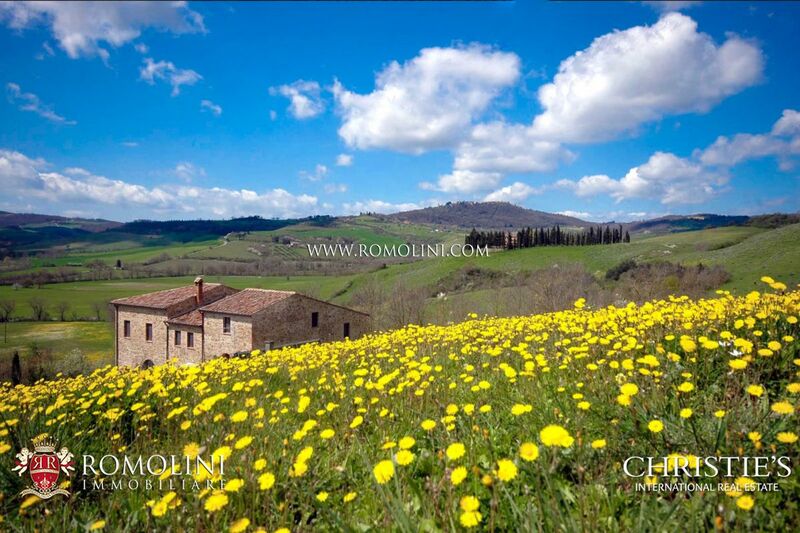 Ancient Monastery with a total surface of 2,000 square metres, surrounded by 102 hectares of land. 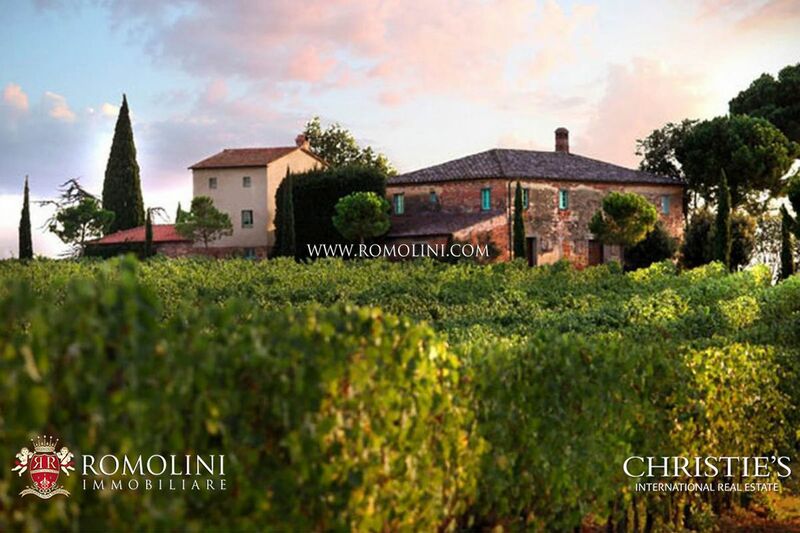 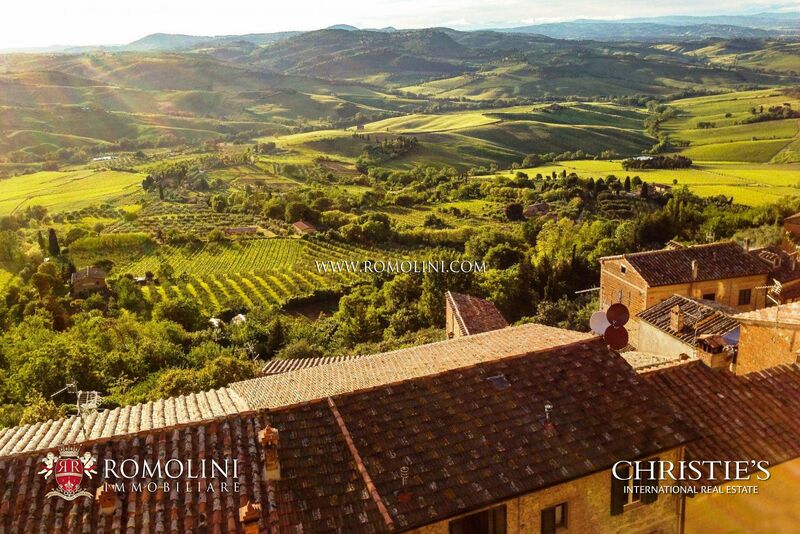 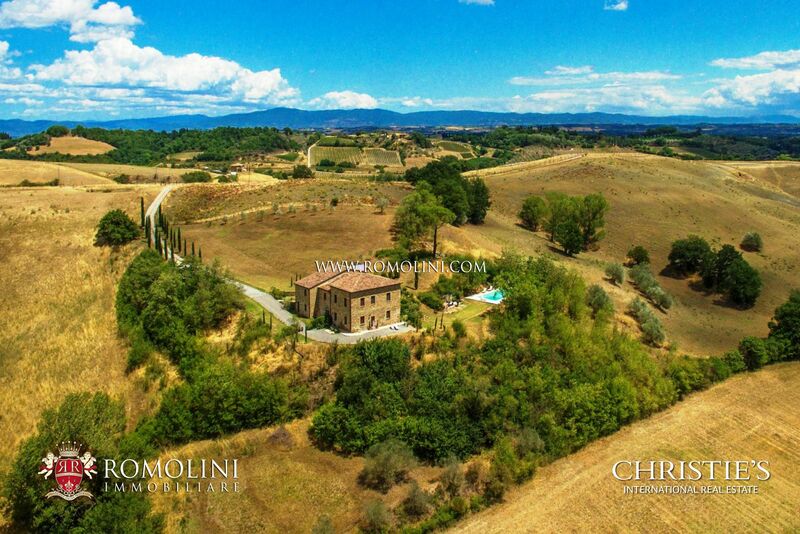 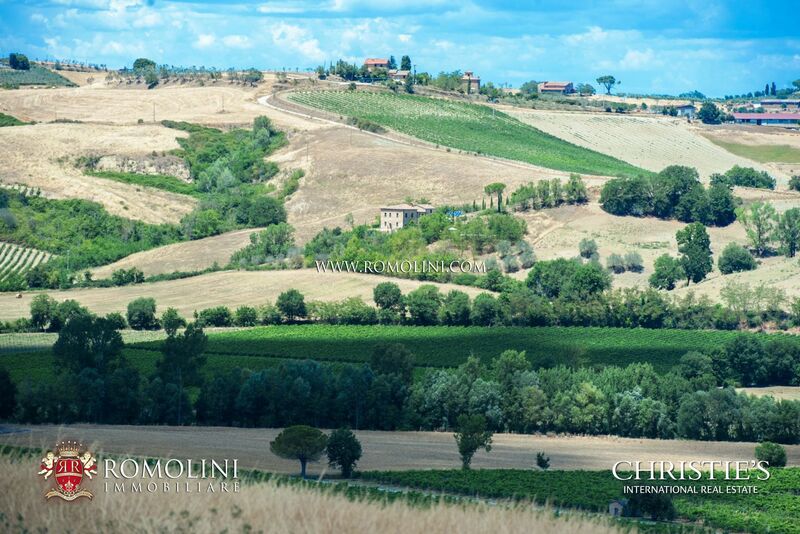 The building is located in the immediate vicinity of Montepulciano and near Pienza. 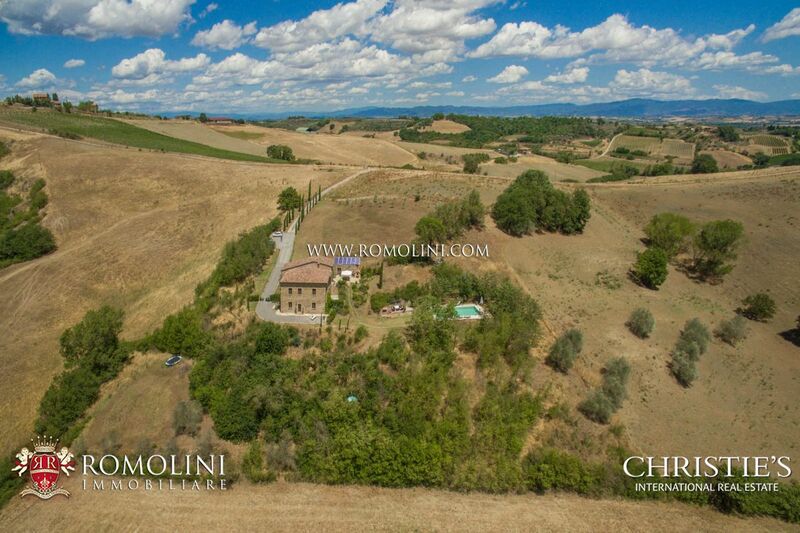 Exteriors: 4 hectares (10 acres). 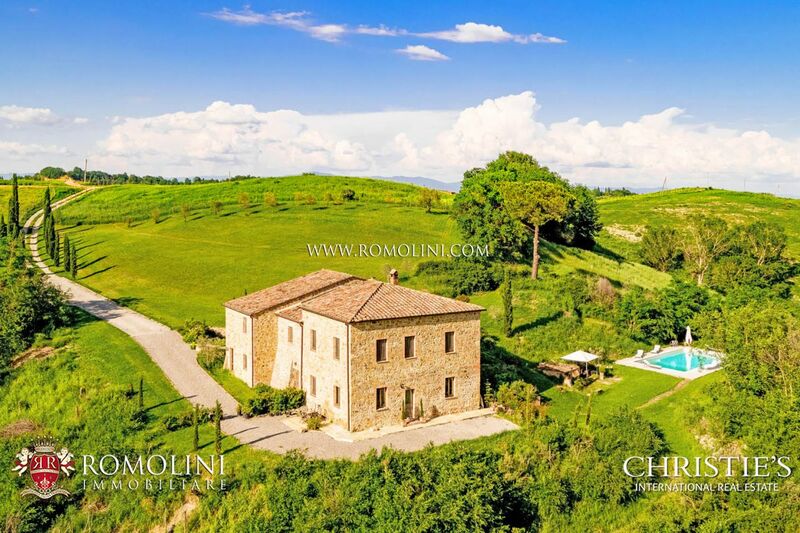 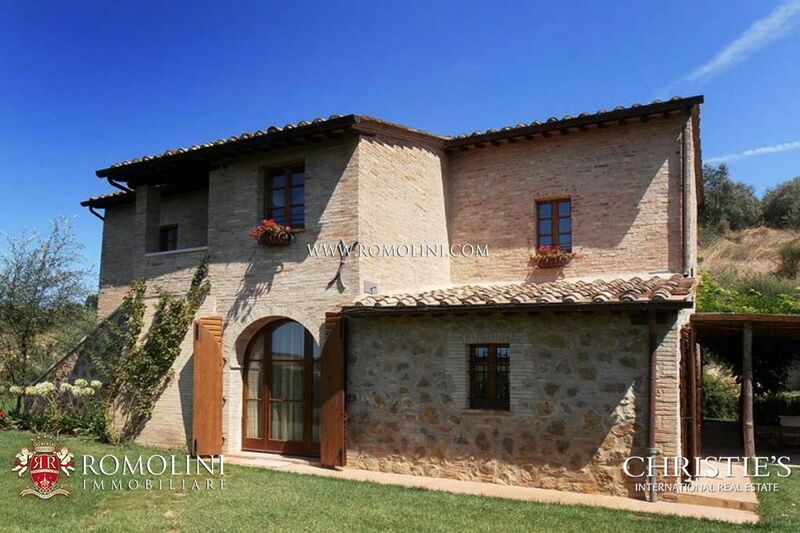 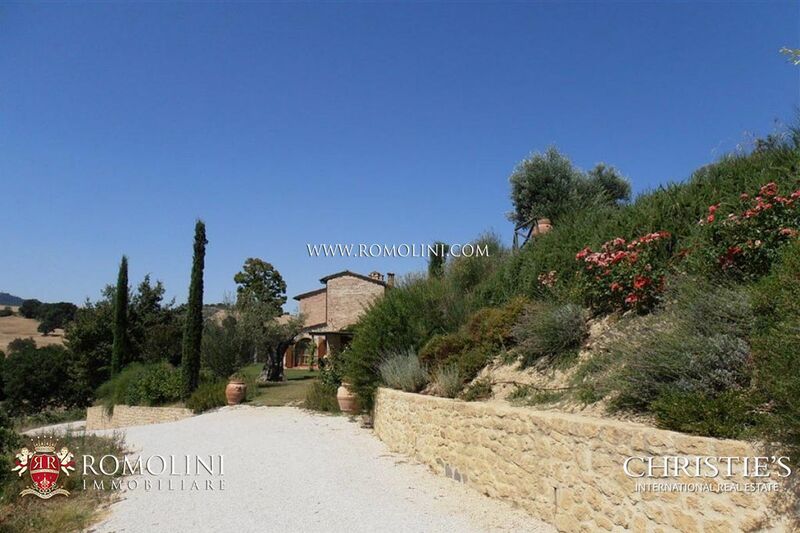 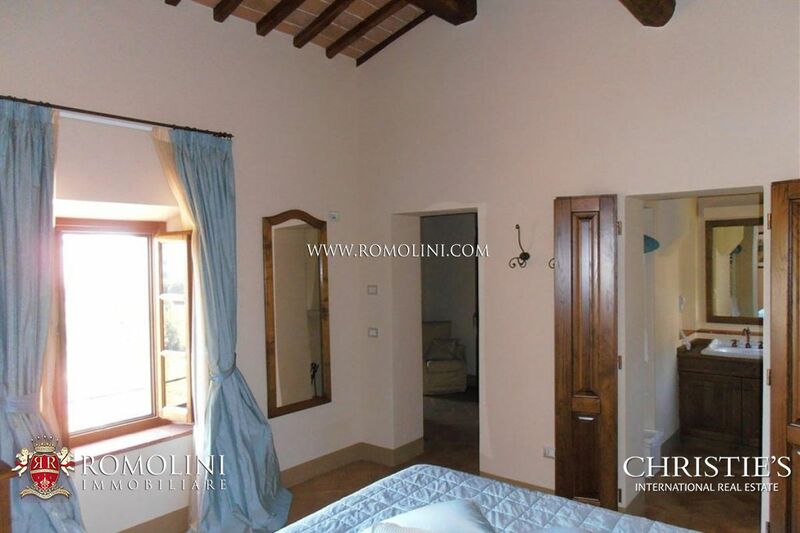 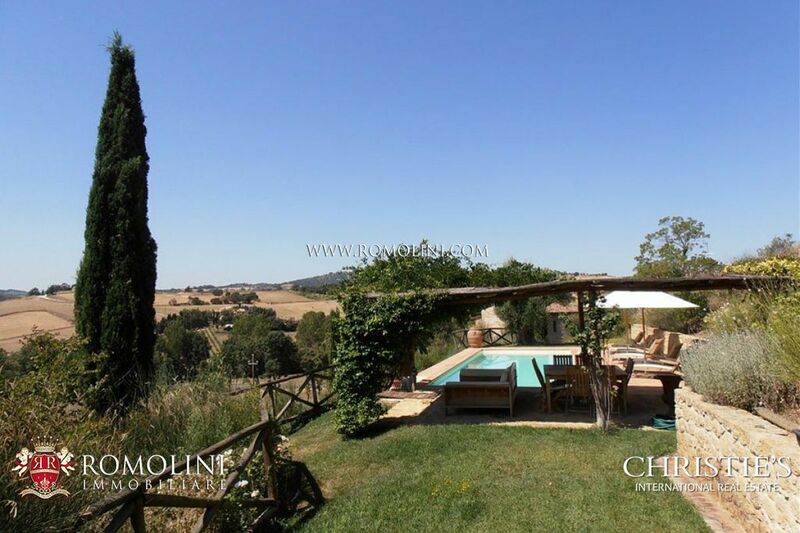 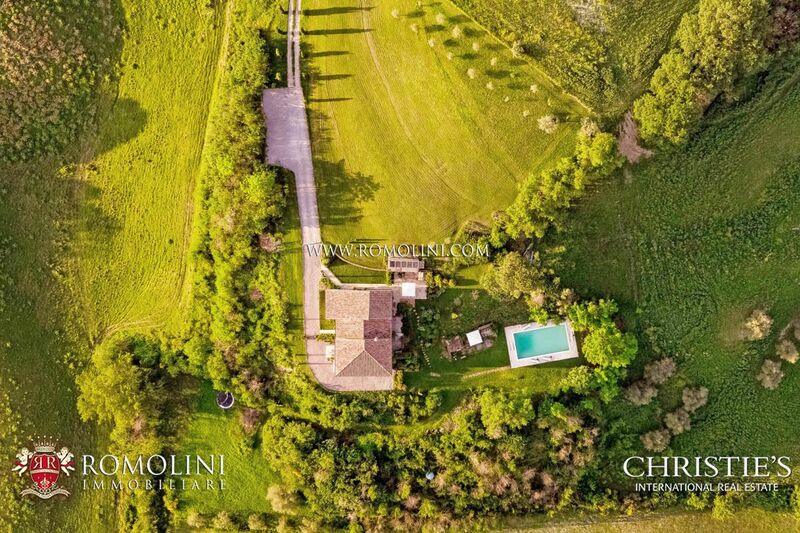 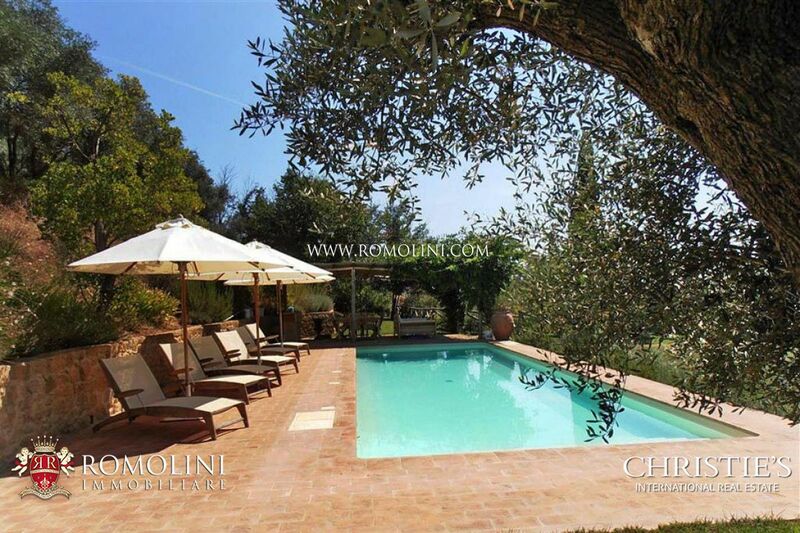 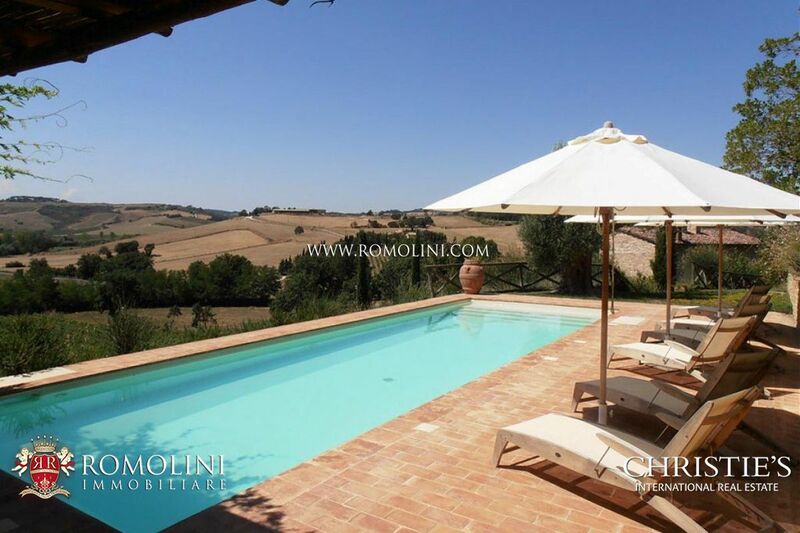 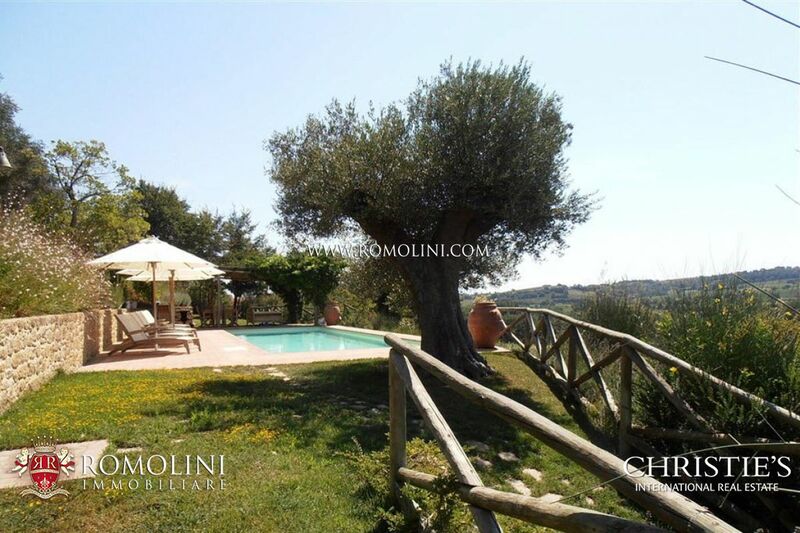 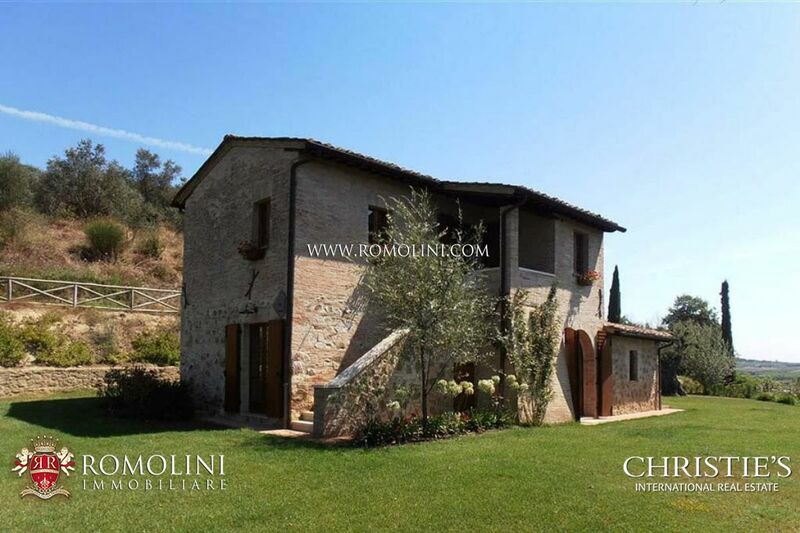 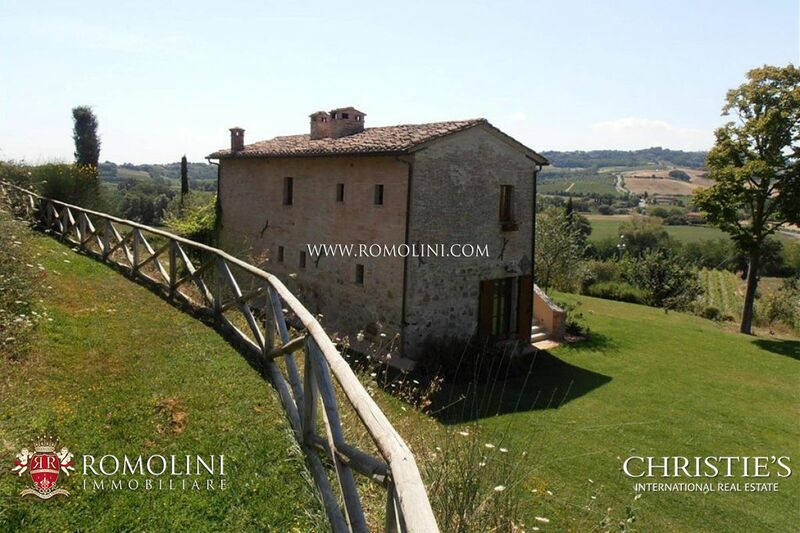 This complex lies in a panoramic position within the municipality of Montepulciano, approximately 20’ from the toll booth of the A1 Chiusi-Chianciano and just two hours from Rome. 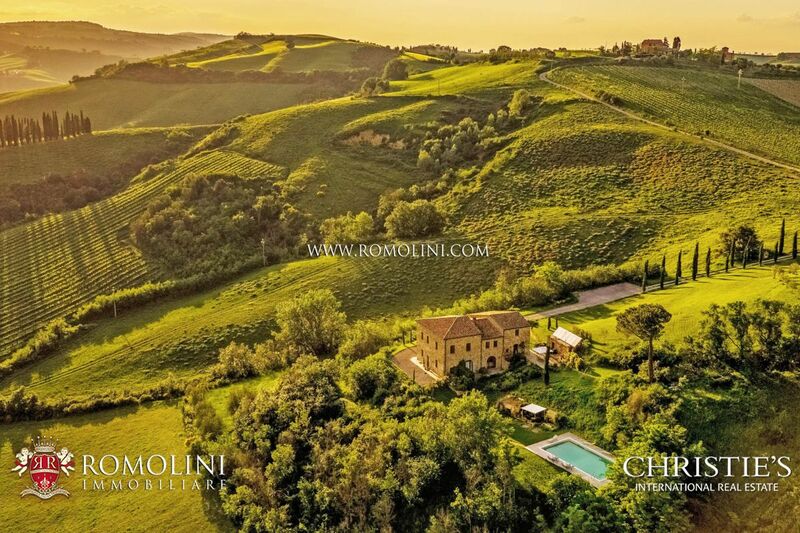 The property, immersed in the green of the countryside around Sienna, is composed of a wide garden area with pool and five buildings, with the typical architecture of the Tuscan farmhouses, built using local stone, bricks and wood. 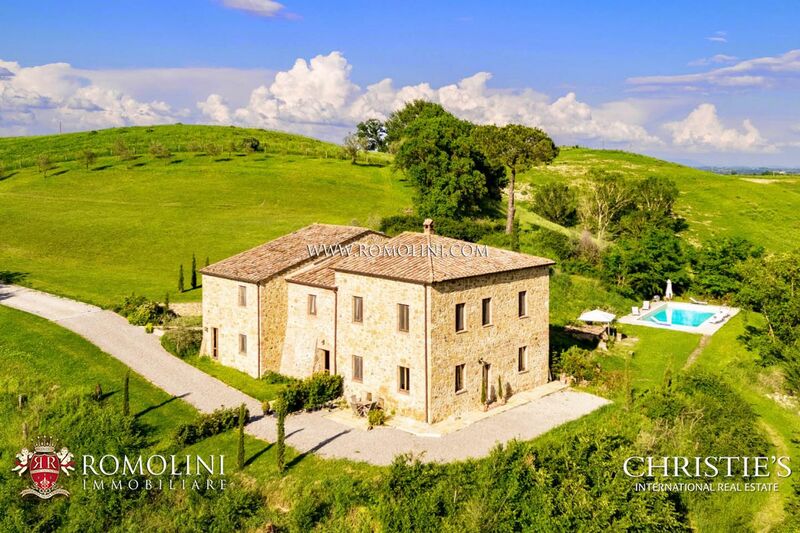 Villa Montepulciano is composed by a main body (The Villa) and three detached annexes which made 1,000 square metres in all. 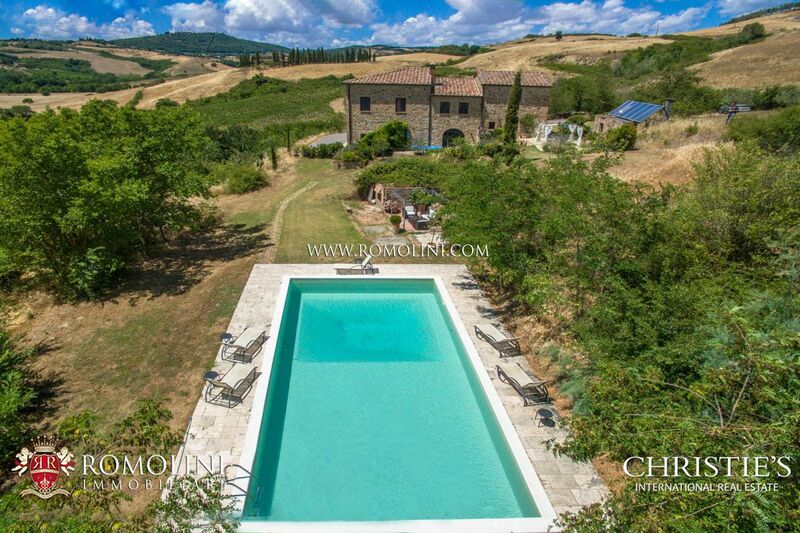 The Villa: Immersed in a wonderful Italian garden, which has been perfectly maintained by the current owners and where anyone can enjoy peaceful and relaxation by reading a book or simply admiring the wonderful panorama, the Villa is a rare beauty jewel which during the Renaissance has made rivals some of the most important families.